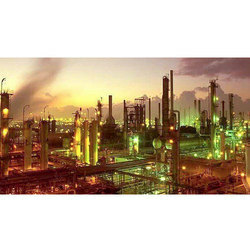 We are engaged in offering Fractional Distillation Unit. - This is essentially a compact batch-type fractional distillation unit in which the re-boiler consists of a vessel mounted in a heating bath and with a packed column above. The vapors from top is condensed and can be refluxed as per requirement. The unit has been designed to suit the customers requirement of combination of versatile reaction / distillation or combination for pilot plant work. This has a flexibility of working at atmospheric pressure as well as under vacuum. Temperature Deg Celsius: 250 Deg. Cel. This is essentially a compact batch-type fractional distillation unit in which the reboiler consists of a vessel mounted in a heating bath and with a packed column above. The vapours from top is condensed and can be refluxed as per requirement. Being a prominent company in market, we are engaged in offering a wide range of Fractional Distillation Unit. This Fractional Distillation Unit is used for extracting liquid from mixture. 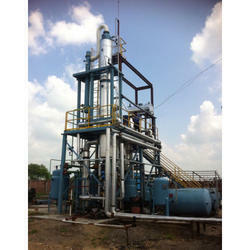 This Fractional Distillation Unit is highly appreciable for its important and perfect usage. Laboratory Enterprises Manufacturing Fractional distillation in a laboratory makes use of common laboratory glassware and apparatuses, typically including a Bunsen burner, a round-bottomed flask and a condenser, as well as the single-purpose fractionating column. This unit is typically used for only Distillation and Fractionation under vacuum or at atmospheric pressure.